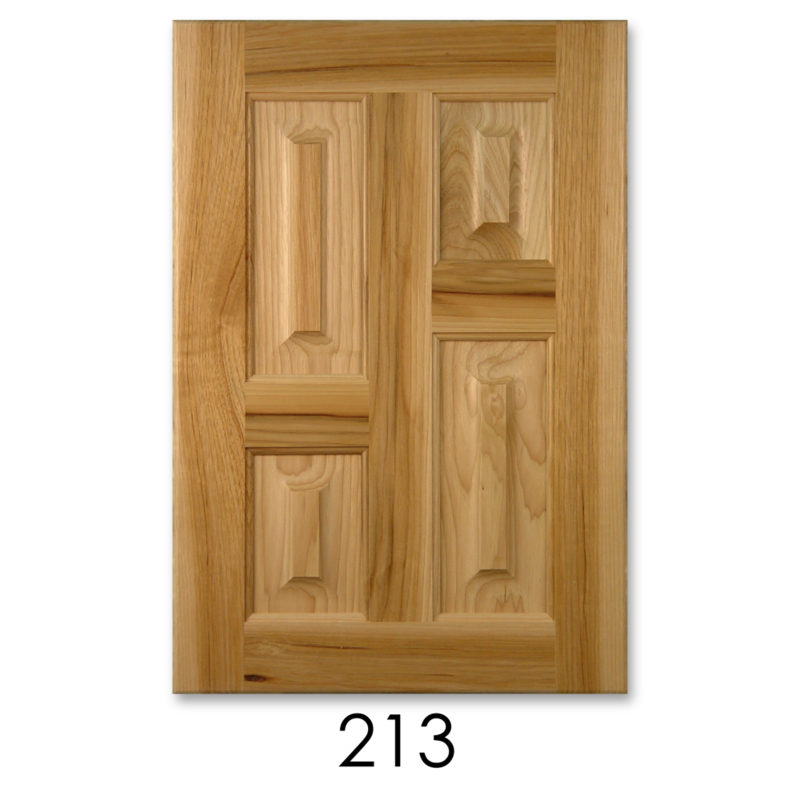 Scherr's Cabinet & Doors 213 Style Doors. Shown here in Hickory with a 'K' outside profile. Left hand door is shown in picture. 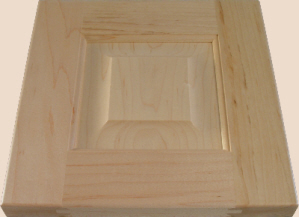 For left hand door (shown) the left panel is split 60% bottom / 40% top, the right panel is split 40% bottom / 60% top, a right hand door is opposite.